Katharine Bradbury is a senior economist and policy advisor in the Federal Reserve Bank of Boston Research Department. Her research focuses on income inequality and mobility, labor force participation and other labor economics topics, state aid to local governments and other issues concerning state and local public finance, and the New England regional economy. Bradbury earned her BA from Carleton College and her PhD from the Massachusetts Institute of Technology. Prior to joining the bank in 1981, she worked as a research associate at the Brookings Institution in Washington, D.C., and at the Institute for Research on Poverty at the University of Wisconsin. She also served as a Peace Corps volunteer in the Mariana Islands. Bradbury serves on the editorial boards of Invested: Community Voices Informing Policy and Practice in New England (a Boston Fed digital publication) and MassBenchmarks. "Opportunity, Mobility, and Increased Inequality," edited with Robert K. Triest. 2016. RSF: The Russell Sage Foundation Journal of the Social Sciences 2(2). "Introduction: Inequality of Economic Opportunity," with Robert K. Triest. 2016. RSF: The Russell Sage Foundation Journal of the Social Sciences 2(2): 1–43. "Inequality of Opportunity and Aggregate Economic Performance," with Robert K. Triest. 2016. RSF: The Russell Sage Foundation Journal of the Social Sciences 2(2): 178–201. "Designing State Aid Formulas," with Bo Zhao. 2009. Journal of Policy Analysis and Management 28(2): 278–295. "Measuring Non-School Fiscal Disparities among Municipalities," with Bo Zhao. 2009. National Tax Journal 62(1): 25–26. "Property Tax Limits, Local Fiscal Behavior, and Property Values: Evidence from Massachusetts under Proposition 2½," with Christopher J. Mayer and Karl E. Case. 2001. Journal of Public Economics 80(2): 287–311. "The Postwar Evolution of New England Employment," with Lynn E. Browne. 1995. Connection: New England's Journal of Higher Education and Economic Development 9(4). "City Taxes and Property Tax Bases," with Helen F. Ladd. 1988. National Tax Journal 41(4). "State Aid to Offset Fiscal Disparities Across Communities," with Helen F. Ladd, Mark Perrault, Andrew Reschovsky, and John Yinger. 1984. National Tax Journal 37(2). "Review of Raymond J. Struyk and Marc Bendick, Jr., eds., 'Housing Vouchers for the Poor.'" 1982. Journal of Economic Literature 20: 637–638. "Forty Theories of Urban Decline," with Anthony Downs and Kenneth A. Small. 1981. Urban Affairs Papers 3(2): 13–20. "Some Dynamics of Central City—Suburban Interactions," with Anthony Downs and Kenneth A. Small. 1980. American Economic Review 70(2): 410–414. "Public Assistance, Female Headship, and Economic Well-Being," with Sheldon Danziger, Eugene Smolensky, and Paul Smolensky. 1979. Journal of Marriage and the Family 41(3): 519–535. "Income Maintenance Alternatives and Family Composition: An Analysis of Price Effects." 1978. Journal of Human Resources 13(3): 305–331. "Shifting Local Services to the State: Boston," with Philip I. Moss and Joseph S. Slavet. 1976. National Tax Journal 29(1): 97–107. "Women's Rise: A Work in Progress: Are Professional Women Opting Out? Recent Evidence on College-Educated Women's Labor Force Participation," with Jane Katz. 2005. Regional Review 14(3): Q1. "Are Lifetime Incomes Growing More Unequal? Looking at New Evidence on Family Income Mobility," with Jane Katz. 2002. Regional Review 12(4): Q4. "Women's Labor Market Involvement and Family Income Mobility When Marriages End," with Jane Katz. 2002. New England Economic Review Q4. "Education and Wages in the 1980s and 1990s: Are All Groups Moving Up Together?" 2002. New England Economic Review Q1. "How Much Do Expansions Reduce the Black-White Unemployment Gap?" 2000. Regional Review 10(3): Q3. "Rising Tide in the Labor Market: To What Degree Do Expansions Benefit the Disadvantaged?" 2000. New England Economic Review May/June. "Job Creation and Destruction in Massachusetts: Gross Flows Among Industries." 1999. New England Economic Review September/October. "Chasing Good Schools in Massachusetts," with Karl Case and Christopher Mayer. 1998. Regional Review 8(3): Q3. "School Quality and Massachusetts Enrollment Shifts in the Context of Tax Limitations," with Karl E. Case and Christopher J. Mayer. 1998. New England Economic Review July/August. "The Effects of State and Local Public Policies on Economic Development: An Overview," with Yolanda K. Kodrzycki and Robert Tannenwald. 1997. New England Economic Review March/April. "The Growing Inequality of Family Incomes: Changing Families and Changing Wages." 1996. New England Economic Review July/August. "Spatial and Labor Market Contributions to Earnings Inequality: An Overview," with Yolanda K. Kodrzycki and Christopher J. Mayer. 1996. New England Economic Review May/June. "Massachusetts' Recent School Aid Reforms." 1995. 1994 Proceedings of the 86th Annual Conference of the National Tax Association: 37–41. "New England Job Changes during the Recession: The Role of Self-Employment." 1994. New England Economic Review September/October. "The New England Recovery," with Peggy Gilligan. 1994. The Journal of Commercial Lending 76(12): August. "New England: The Regional Recovery," with Peggy Gilligan. 1994. New England Banking Trends 2(2): Spring. "School District Spending and State Aid: Why Disparities Persist." 1994. New England Economic Review January/February. "Perspective: On Jobs," with Karl Case. 1993. Regional Review 3(4): Fall. Reprinted in BusinessWest 1993.10(8): December. "Shifting Patterns of Regional Employment and Unemployment: A Note." 1993. New England Economic Review September/October. "Equity in School Finance: State Aid to Local Schools in New England." 1993. New England Economic Review March/April. "What Past Recoveries Say about the Outlook for New England," with Yolanda K. Kodrzycki. 1992. New England Economic Review September/October. "Can Local Governments Give Citizens What They Want? Referendum Outcomes in Massachusetts." 1991. New England Economic Review May/June. "Retrospective of the 1980s," with others. 1990. New England Economic Indicators August. "The Changing Fortunes of American Families in the 1980s." 1990. New England Economic Review July/August. "Geographic Patterns of Mortgage Lending in Boston, 1982-1987," with Karl E. Case and Constance R. Dunham. 1989. New England Economic Review September/October. "Shifting Property Tax Burdens in Massachusetts." 1988. New England Economic Review September/October. "New England Approaches the 1990s," with Lynn E. Browne. 1988. New England Economic Review January/February. "City Property Taxes: The Effects of Economic Change and Competitive Pressures," with Helen F. Ladd. 1987. New England Economic Review July/August. "The Shrinking Middle Class." 1986. New England Economic Review September/October. "Black Men in the Labor Market," with Lynn E. Browne. 1986. New England Economic Review March/April. "Changes in the Fiscal Capacity of U.S. Cities, 1970–1982," with Helen F. Ladd. 1985. 1984 Proceedings of the 77th Annual Conference of the National Tax Association: Tax Institute of America: 205–217. "Prospects for Growth in New England: The Labor Force." 1985. New England Economic Review September/October. "Changes in the Revenue-Raising Capacity of U.S. Cities, 1970–1982," with Helen F. Ladd. 1985. New England Economic Review March/April. "Labor Market Conditions: Outlook for New England," with Lynn E. Browne. 1984. New England Economic Indicators November. "Urban Decline and Distress: An Update." 1984. New England Economic Review July/August. "Making Ends Meet: Boston's Budget in the 1980s," with John Yinger. 1984 New England Economic Review March/April. "State Aid Distribution Formulas: The Need for More Equalization," with Helen F. Ladd, Mark Perrault, Andrew Reschovsky, and John Yinger. 1983. Impact: 2½ Newsletter 58: September 15. "Revenues and Expenditures in New England's Largest Cities and Towns." 1983. New England Economic Review July/August. "Structural Fiscal Distress in Cities: Causes and Consequences." 1983. New England Economic Review January/February. "Municipal Fiscal Distress." 1983. New England Economic Indicators January. "Fiscal Distress in Large U.S. Cities." 1982. New England Economic Review November/December. "Proposition 2½: Initial Impacts, Parts I and II," with Helen F. Ladd and Claire Christopherson. 1982. New England Economic Review January/February and March/April. "First-Year Impacts of Proposition 2½." 1982. New England Economic Indicators February. "Unemployment Measurement," in The New Palgrave Dictionary of Economics 2nd edition, eds. Steven N. Durlauf and Lawrence E. Blume. 2008. Basingstroke and New York: Palgrave Macmillan. "Are Lifetime Incomes Growing More Unequal? Looking at New Evidence on Family Income Mobililty," with Jane Katz in The Inequality Reader: Contemporary and Foundational Readings in Race, Class, and Gender, eds. David B. Grusky and Szonja Szelenyi. 2007. Boulder, CO: Westview Press. Reprinted from "Are Lifetime Incomes Growing More Unequal? Looking at New Evidence on Family Income Mobility," with Jane Katz. 2002. Regional Review 12(4): Q4. "Discussion of School Finance Papers by Downes, Sonstelie, and Stiefel, Rubenstein, & Schwartz," in Education Finance and Organizational Structure in New York State Schools. 2004. Symposium Proceedings, Education Finance Research Consortium at University at Albany, SUNY: 91–97. "Discussion of Eric A. Hanushek, 'Non-Labor-Supply Responses to the Income Maintenance Experiments,'" in Lessons from the Income Maintenance Experiments. 1987. Proceedings from the Federal Reserve Bank of Boston Conference Series No. 30. Energy Costs, Urban Development, and Housing, edited with Anthony Downs. 1984. Washington, DC: The Brookings Institution. "The Initial Impacts on State and Local Finances," with Helen F. Ladd and Claire Christopherson in Proposition 2½: Its Impact on Massachusetts, ed. Lawrence E. Susskind. 1983. Cambridge, MA: Oelgeschlager, Gunn & Hain. "Central City Decline: The Case for Attacking the Symptoms," with Kenneth A. Small in Research in Urban Economics Volume 3, ed. J. Vernon Henderson. 1983. Greenwich Place, CT: JAI Press. Urban Decline and the Future of American Cities, with Anthony Downs and Kenneth A. Small. 1982. Washington, DC: The Brookings Institution. Do Housing Allowances Work? edited with Anthony Downs. 1981. Washington, DC: The Brookings Institution. Futures for a Declining City: Simulations for the Cleveland Area, with Anthony Downs and Kenneth A. Small. 1981. New York: Academic Press. "Simultaneous Estimation of the Supply and Demand for Housing Location in a Multi-zoned Metropolitan Area," with Robert Engle, Owen Irvine, and Jerome Rothenberg in Residential Location and Urban Housing Markets, ed. Gregory K. Ingram. 1977. Cambridge, MA: Ballinger Publishing Company for the National Bureau of Economic Research. Financing State-Local Services: A New Strategy for Greater Equity, with Joseph S. Slavet and Philip I. Moss. 1975. Lexington, MA: D.C. Heath and Company (Lexington Books). "Family Characteristics and Macroeconomic Factors in U.S. Intragenerational Family Income Mobility, 1978–2014." 2019. Federal Reserve Bank of Boston Research Department Working Papers No. 19-1. "Community Education Circles in the Lawrence Public Schools: Evaluation Design and Baseline Survey," with John Brown, Mary A. Burke, Erin Michelle Graves, and Robert Triest. 2017. Federal Reserve Bank of Boston Current Policy Perspectives No. 17-1. "Levels and Trends in the Income Mobility of U.S. Families, 1977–2012." 2016. Federal Reserve Bank of Boston Research Department Working Papers No. 16-8. "Within-School Spillover Effects of Foreclosures and Student Mobility on Student Academic Performance," with Mary A. Burke and Robert K. Triest. 2015. Federal Reserve Bank of Boston Research Department Working Papers No. 15-6. "Labor Market Transitions and the Availability of Unemployment Insurance." 2014. Federal Reserve Bank of Boston Research Department Working Papers No. 14-2. "Do Foreclosures Affect Boston Public School Student Academic Performance?" with Mary A. Burke and Robert K. Triest. 2013. Federal Reserve Bank of Boston Research Department Public Policy Briefs No. 13-5. "The Effect of Foreclosure on Boston Public School Student Academic Performance," with Mary A. Burke and Robert K. Triest. 2013. Federal Reserve Bank of Boston Research Department Working Papers No. 13-12. "Long-Term Inequality and Mobility." 2012. Federal Reserve Bank of Boston Research Department Public Policy Briefs No. 12-1. "Trends in the U.S. Family Income Mobility, 1969–2006." 2011. Federal Reserve Bank of Boston Research Department Working Papers No. 11-10. "State Government Budgets and the Recovery Act." 2010. Federal Reserve Bank of Boston Research Department Public Policy Briefs No. 10-1. "Trends in U.S. Family Income Mobility, 1967–2004," with Jane Katz. 2009. Federal Reserve Bank of Boston Research Department Working Papers No. 09-7. 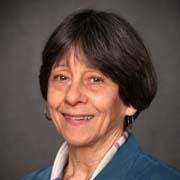 "The Responsiveness of Married Women's Labor Force Participation to Income and Wages: Recent Changes and Possible Explanations," with Jane Katz. 2008. Federal Reserve Bank of Boston Research Department Working Papers No. 08-7. "Designing State Aid Formulas: The Case of a New Formula for Distributing Municipal Aid in Massachusetts," with Bo Zhao. 2008. Federal Reserve Bank of Boston Research Department Working Papers No. 08-1. "Measuring Non-School Fiscal Imbalances of New England Municipalities," with Bo Zhao. 2007. Federal Reserve Bank of Boston New England Public Policy Center Policy Briefs No. 07-6. "Massachusetts Employment Growth 1996–2006: Effects of Industry Performance and Industry Composition," with Yolanda K. Kodrzycki. 2007. Federal Reserve Bank of Boston Research Department Public Policy Briefs No. 07-1. "Measuring Disparities in Non-School Costs and Revenue Capacity among Massachusetts Cities and Towns," with Bo Zhao. 2006. Federal Reserve Bank of Boston Research Department Working Papers No. 06-19. "Measurement of Unemployment" 2006. Federal Reserve Bank of Boston Research Department Public Policy Briefs No. 06-2. "Additional Slack in the Economy: The Poor Recovery in Labor Force Participation during This Business Cycle." 2005. Federal Reserve Bank of Boston Research Department Public Policy Briefs No. 05-2. "Regional Differences in the Impact of Energy Price Increases" 2005. Federal Reserve Bank of Boston Research Department Public Policy Briefs No. 05-1. "Wives' Work and Family Income Mobility," with Jane Katz. 2004. Federal Reserve Bank of Boston Research Department Public Policy Discussion Papers No. 04-3. "U.S. Family Income Mobility and Inequality, 1994 to 2004." 2008. Interactive graphic and summary analysis. Federal Reserve Bank of Boston. "Direct and Indirect Local Aid," with Lynn E. Browne, Alicia H. Munnell, and Lynn E. Browne in Massachusetts in the 1990s: The Role of State Government. 1990. Federal Reserve Bank of Boston Research Report No. 72.